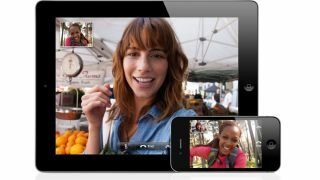 Vodafone has confirmed that its customers will be able enjoy Facetime over 3G (VoIP) on the new iPhone 5 as part of their data allowance. TechRadar was told that customers on a Vodafone Red plan, which start at £29 per month, would have Facetime over 3G included in their bundled data allowance. A Vodafone spokesperson said: "The iPhone 5 will be available on Vodafone Red plans, giving customers access to Voice over IP services (including Facetime over 3G) as part of their data allowance." He continued: "Existing pay monthly iPhone 4 and 4S customers on price plans of more than £40 a month already have VoIP included and anyone can move to Vodafone Red plans without extending their commitment provided they pay the same or more each month." Networks are hastily trying to court customers to choose the iPhone 5 on their network, and especially as EE has the latest handset exclusively on 4G, the likes of Vodafone and O2 are pulling out all the stops to entice Apple lovers their way. O2 announced earlier today that it was looking to accelerate the development of its 4G network, and is offering customers an early upgrade to a 4G handset next year, if they buy the iPhone 5 at launch. We've contacted the other networks to see if Facetime over 3G will be included in their data allowances as well, and we'll update this article once we hear back.